The Episode starts with Komolika and Navin talking over phone. She says you are scared and weak, you couldn’t handle a simple girl like Prerna, people laugh on you. She insults him to provoke him. He says I love Prerna a lot, I will just get her any way. She says then hurry up, else Anurag will take her away, he is going to propose her. Navin gets shocked. She disconnects and says I have instigated him. He throws things in anger and says you don’t know what I can do, I will not leave anyone, Prerna is mine. Anurag reaches the shop. He imagines Prerna kissing on his cheek. Dekho na….plays…. Prerna imagines Anurag and smiles. Inspector asks him to park the car away. He sees Prerna in her and smiles. He says sorry and gets his car back. Prerna imagines him as auto driver and smiles. 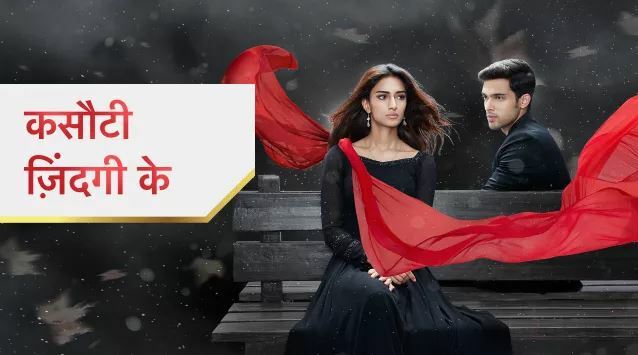 Komolika says Anurag and Prrna are in love, I was so angry knowing this, I got want Prerna in his life, I hope this story’s next chapter is written the same way as I have thought. Mishka worries. Anurag reads a card and thinks Prerna, I m in love with you, I will tell you I love you Prerna. Prerna comes and sees him. She thinks am I imagining him again. She asks the lady and goes happily. Anurag sees her and waves. She gets kidnapped by goons and shouts Anurag. Anurag sees this and runs after the car. He falls down. He takes someone’s bike and follows the car. Prerna cries. She asks who are you, where are you taking me. The goon says we are asked to kidnap you. She asks why. She recalls Shivani’s words. She thinks if I get a chance, I will tell Anurag how much I love him. Shivani thinks to call Anurag. He gets Shivani’s call and answers. She asks did Prerna meet you. He says someone kidnapped Prerna, I m going after her, inform this at home. She gets shocked and runs to tell everyone. Veena gets juice. Shivani says let me go, listen to me, Prerna got kidnapped. Veena drops the glass and falls down. Shivani says don’t worry, I will get her. Goon calls Navin. He says we got the girl, a guy is following us. Navin asks who is that guy. He hears Prerna shouting Anurag. He says wonderful, he will not leave you, I know that. Goon asks why are you scaring me. Navin says I m saying the truth, I will reach soon. A car comes in between. Anurag hits the car and falls down. Veena tells this news to everyone. Navin is on the way. Anurag follows the goons again. Prerna cries. Navin says I can see you, don’t worry for this guy, I m coming. He goes to hit Anurag. Prerna shouts Anurag. Anurag falls over the car and falls down. Goons tie her up. People rush to help Anurag. They check Anurag. Navin checks Anurag and asks them to take him to big hospital. He says I think you want to die soon. He says I will arrange a doctor, get him. He leaves. Navin comes to meet Prerna. She gets shocked seeing him. He says I had to do Anurag’s accident, I hope he dies this time. She slaps him.